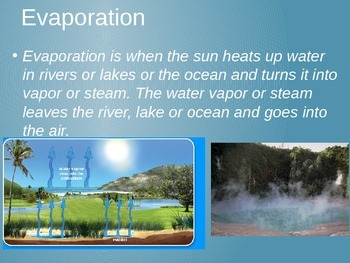 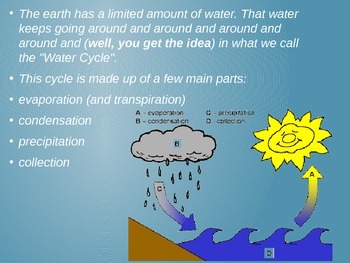 Powerpoint presentation introducing students to the water cycle. 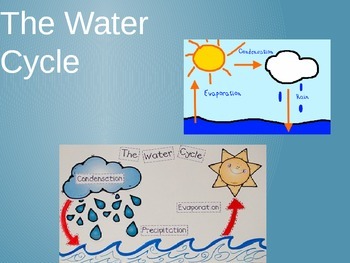 Includes interesting facts about the water cycle and a song to help students remember!! 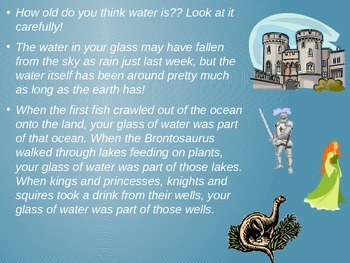 Would work well in 2nd, 3rd, and 4th grade classrooms.